The original Datsun 510 Bluebird was sold in the US market from 1968 through 1973 on a well engineered compact unibody platform that used MacPherson strut suspension up from and semi-trailing arms out back. Power came from a SOHC 4-banger that was basically Nissan's 240Z engine with two cylinders lopped off, but today's 510 is powered by one of those spinning cam-less/piston-less freaks of nature from Mazda. 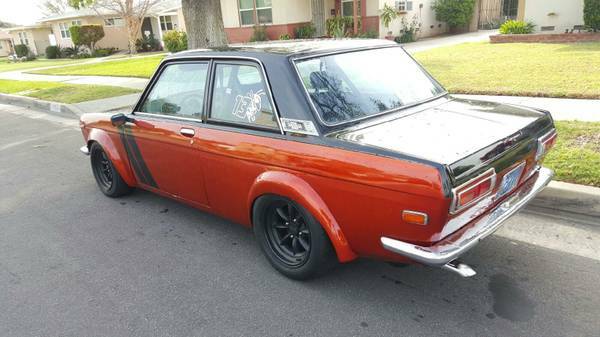 Find this 1972 Datsun 510 with Mazda 13B offered for $12,000 in Los Angeles, CA via craigslist. 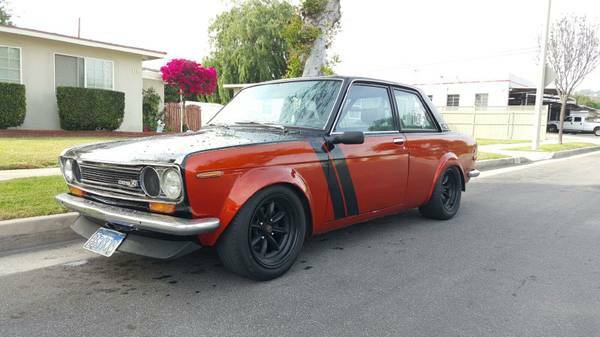 This is not your father's Datsun...but it was the seller's, who writes: Got this for my dad and it's a little too much for him so it's up forsale or trade. Wow -- for Father's day my kids just give me some crappy art projects they slapped together between recess and lunch -- this kid gets his dad a 510!! Under the hood is a Mazda 13B two-rotor rotary that makes something like 135 horsepower when stock, but this one looks modified and could make more power depending on the state of its guts. We'd swap in a stock fan shroud and revert to original wheels I'd hoon this thing as is until the engine pops and then sell it for a major loss. Cool car. Hideous fender flares. All aftermarket fender flares are hideous. I dont hate the front flares but what the hell is up with the rears? It looks like they hang down, im guessing to make it look like the tires are tucked/stanced. Or im just looking at it wrong, i am on my phone. And real minis look good with flares. Cool car, but I don't really get it, why not just get a RX-3 or RX-4? Why is a rotary swap a good thing? I prefer my classic's with the same-brand engine. 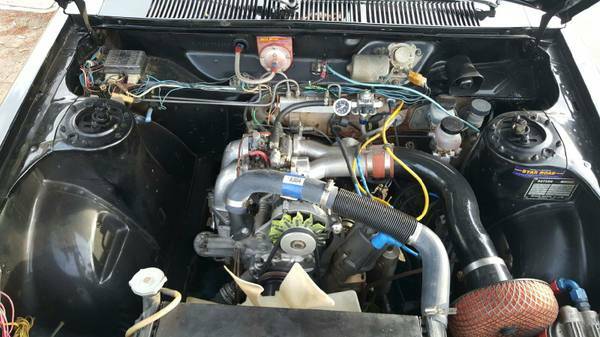 Plenty of good Datsun engines out there. To me, this car is worth less $ with the Rotary.